Loveland Valley is now closed. 3-Class Pass lessons are no longer available. 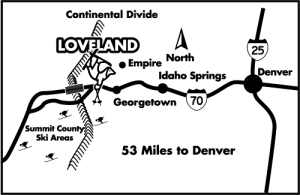 If you have never tried skiing or snowboarding before, Loveland has a deal for you! With the Newcomer 3-Class Pass, you can learn an exciting new sport and receive a FREE 2018/19 season pass to work on your turns all season long. This program is only for adults (15+) that have never been on skis or a snowboard. If you have been on snow, please check out our Adult 3-Class Pass. Sign up for three ski or snowboard lesson packages and we will reward your new love of snow sports with a free season pass. Start your journey with a full-day Newcomer Lesson Package where you will build the foundation for your success. The next two lessons are half-day Master the Mountain Lessons which will develop your technique and improve your ability. The pre-purchase option is the surest way to success so you can use your season pass to practice your skills between lessons. 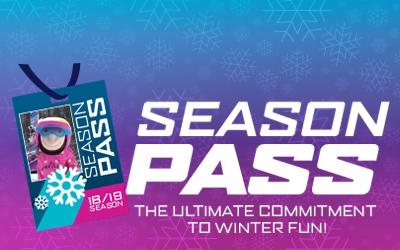 When you pre-purchase the Newcomer 3-Class Pass you will immediately receive a season pass for Loveland Valley where you can work on your turns between lessons. 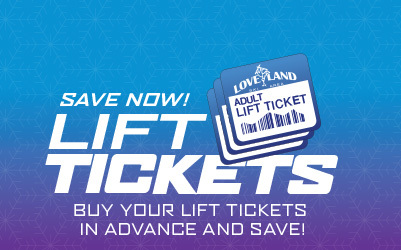 Once the third lesson has been completed, your season pass will be upgraded to an unrestricted season pass good at both Loveland Valley and Loveland Basin. If you do not take advantage of the pre-pay option, you are still eligible for a FREE 2018/19 season pass after completing one full-day Newcomer Lesson package and two half-day Master the Mountain Lesson packages and you will receive your season pass upon the completion of the third lesson. Call (303) 571-5580 x170 for 3-Class Pass info. Online registration is not available for this program. You may also register at the ski area. **You may provide your own equipment, but that will not change the lesson package price. Lessons are not transferable. All lessons must be taken between November 16, 2018 and March 31, 2019. This program is only offered to those that have never skied or snowboarded before. CLICK HERE to download the Ski & Ride School waiver.